and picking up sleeve stitches. Last night I managed to knit the shoulder section of the Penguono and picked up the stitches for the left sleeve. I find this part a little tricky, and tend to use a crochet hook to make sure I pick up the stitch correctly. I am holding three strands of 4ply together so it is very easy to miss a loop or two. 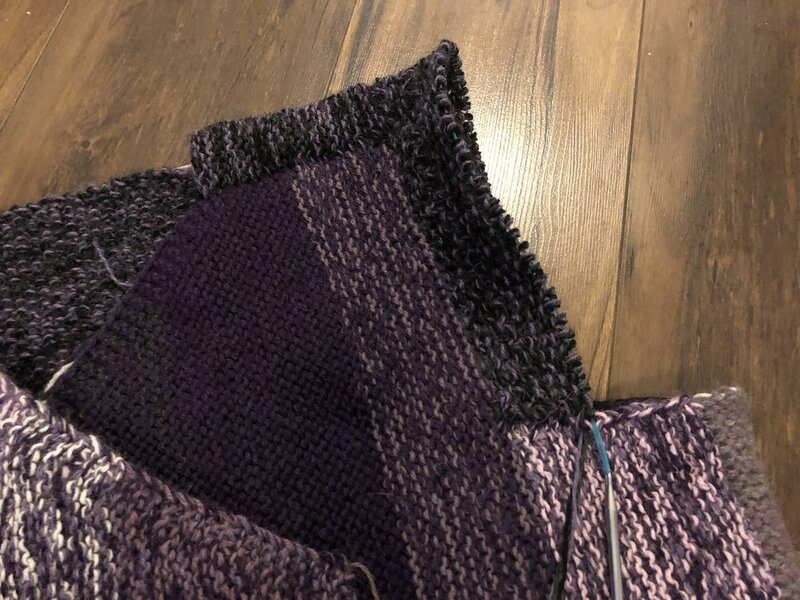 I have been knitting on the sleeve and making a bit of progress but I read through the rest of the pattern and there is a lot of knitting still to do. I also got a few rows added to my sock head cowl when waiting to pick George up from school. Shocking lighting on my photos tonight….I don’t think it got light at all today. Once the boys were at school, I started the day with a house tidy (I seem to do this everyday), then made a big batch of vegetable curry for my lunch with a tonne of left overs for another day. We have a wide range of crochet patterns, these are a few of our most popular blanket patterns.